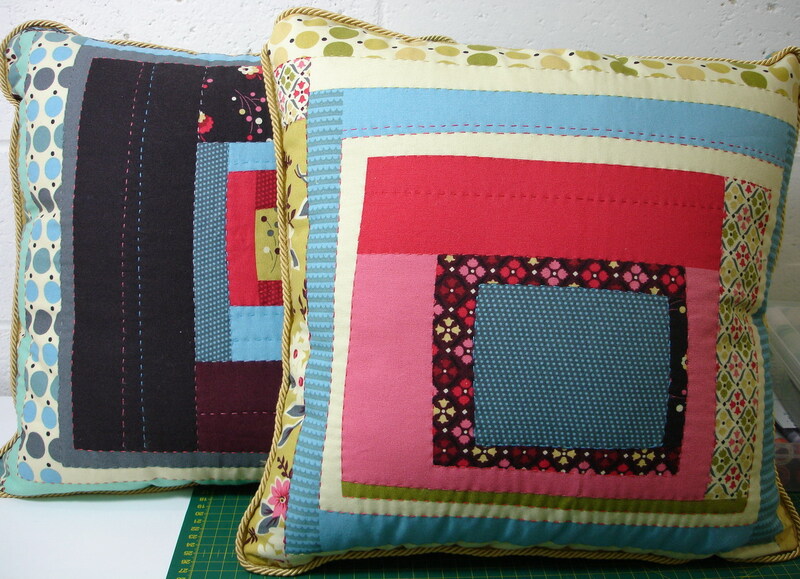 I finally completed sewing up these cushions, destined for my family room couches. The gorgeous panel of cotton canvas fabric came from Needles and Pins at Warrandyte in Melbourne, and is a Denyse Schmidt design called ” Patchwork Promenade” from the Country Fair range. 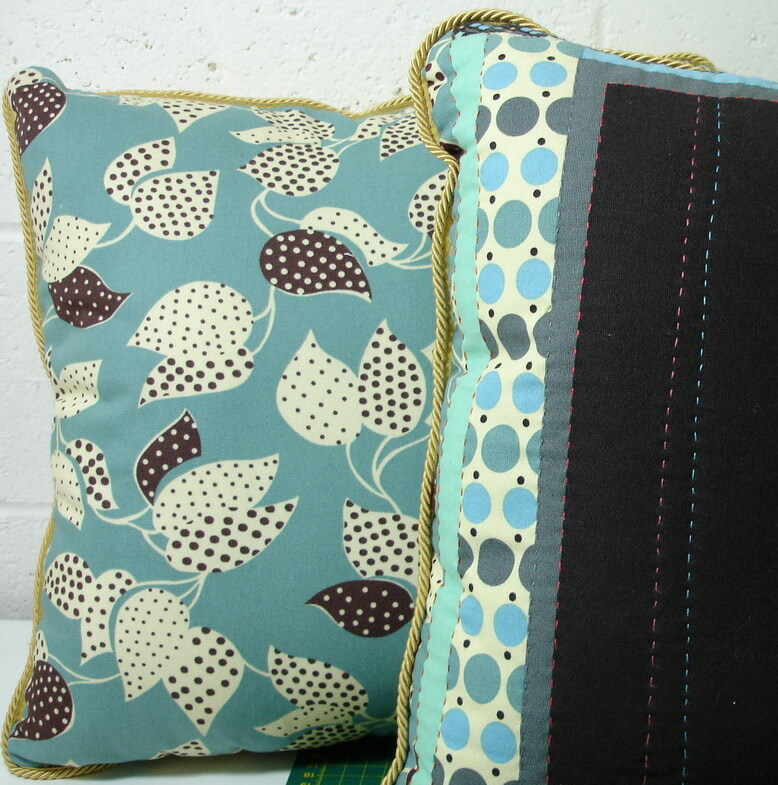 I backed the cushions with another fabric in the range and piped them with an ‘old gold’ cord which seemed to work well with the variety of colours. 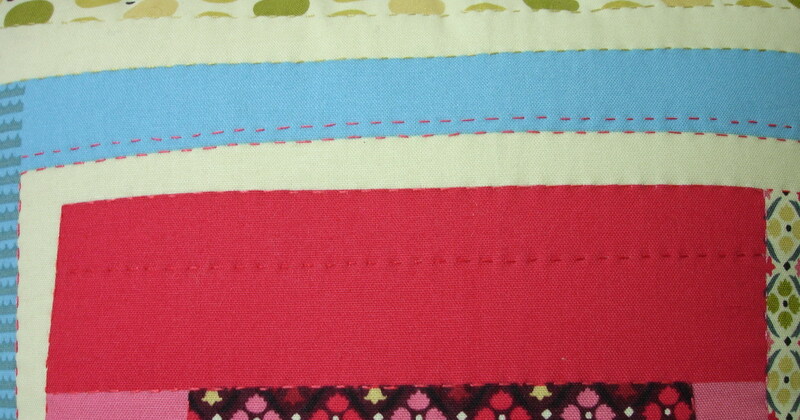 This is the fabric that I used for the cusion backs. Don't you just love this fabric range? Naturally I used an Aurifil thread for the hand quilting – the Ne 12 which worked really well – it just glided through the material and light batting. I have 2 panels left over, so I am going to make a ‘tote’ bag up using the rest – and of course quilt them – but I think I will machine quilt them with the Ne12. By the way, Kay at Needles and Pins is also an Aurifil stockist!! !